The Rainbow Cosmological Surveys database, operated by the Universidad Complutense de Madrid (UCM), partnered with the University of California Observatories at Santa Cruz (UCO/Lick,UCSC), is now using Google Maps to navigate through the Universe. 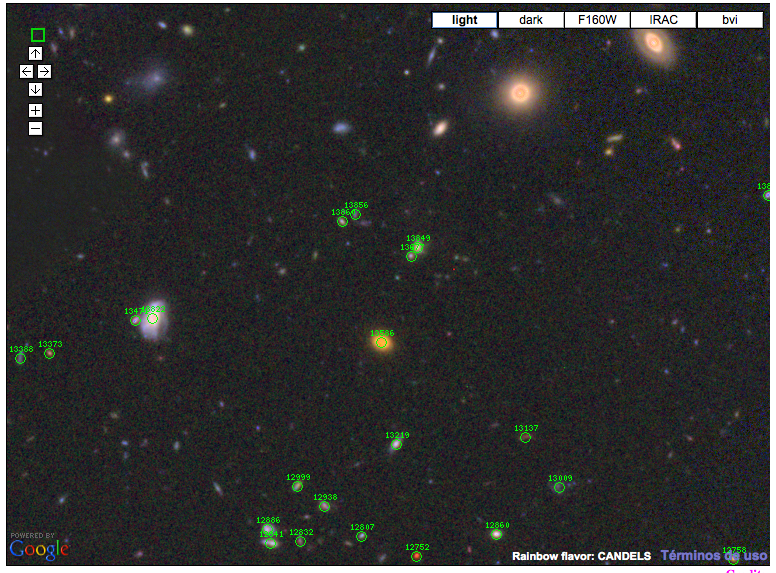 The new Rainbow Sky Maps offer the possibility to see the deepest images of the Universe, and access all the information about the most distant galaxies known. The Rainbow database is a compilation of astronomical data obtained by the largest extragalactic surveys, such as GOODS, CANDELS or SHARDS, using some of the most powerful telescopes, such as Hubble, Spitzer, Herschel and GTC.